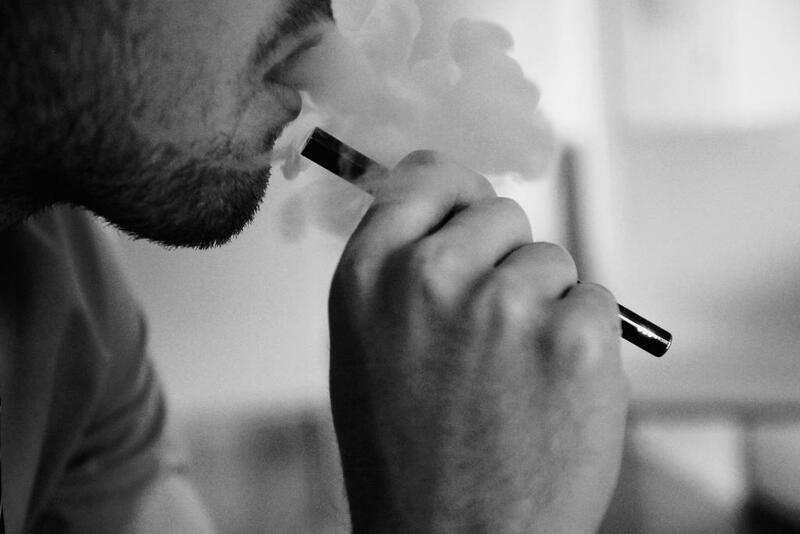 The Union Health Ministry, on Tuesday evening, banned the sale of e-cigarettes in India. In an advisory to all the states and union territories, it has asked them to see to it that their sale is stopped. Since health is a state subject, the Union ministry had to issue an advisory. “The States/Union Territories are advised, in larger public health interest and in order to prevent the initiation of ENDS by non-smokers and youth with special attention to vulnerable groups, to ensure that any Electronic Nicotine Delivery Systems (ENDS) including e-Cigarettes, Heat-Not-Burn devices, Vape, e-Sheesha, e-Nicotine Flavoured Hookah, and the like devices that enable nicotine delivery are not sold (including online sale), manufactured, distributed, traded, imported and advertised in their jurisdiction,” the advisory read. Citing health concerns, the ministry said that the ENDS are particularly harmful for children, adolescents, pregnant women and women of reproductive age. In a detailed advisory, the ministry said that ENDS aerosol contains nicotine, the addictive component of tobacco products. “In addition to creating dependence, nicotine can have adverse effects on the development of the foetus during pregnancy. It may contribute to cardiovascular disease to the people who use ENDS. Also, nicotine may function as a "tumour promoter" and seems to be involved in the biology of malignant diseases,” the advisory adds. A number of metals, including lead, chromium, and nickel, and chemicals like formaldehyde have been found in aerosols of some ENDS, with concentrations equal to or greater than traditional cigarettes, under normal experimental conditions of use, according to the advisory. The ministry’s advisory came a week after Delhi High Court ordered it to take regulatory measures to control the sale of e-cigarettes. “Let an affidavit be filed within a week indicating by what time regulatory measures would be brought into place and enforce it in letter and spirit. In case we are not satisfied with the response given by the Secretary, we may consider to take coercive action against the Department,” read the order passed by bench of Chief Justice Rajendra Menon and Justice V Kameshwar Rao on August 21, 2018. The case in the Delhi High Court is listed for hearing on September 7, 2018. It remains to be seen how many states act upon the advisory and issue ban orders. “Since the advisory has been issued after the directive of the high court, no state would like to be seen on the wrong side and, therefore, we expect that sooner than later the states would do it,” says Dr Pankaj Chaturvedi, a cancer surgeon at Mumbai’s Tata Memorial Hospital. He has received several national and international awards for his anti-tobacco initiatives. Dr Chaturvedi also said that the sale of e-cigarettes was never permitted in India. “But since there was no government ruling or notification that says so, the illegal sale was rampant. Now with this advisory, the confusion will go away,” he adds. According to him, this advisory will prove to be a bane for the cigarette manufacturing companies. “Much against the common perception, e-cigarettes used to serve as gateway to cigarette smoking. In fact, the largest cigarette manufacturing company of India was one of the largest E-cigarette manufacturing companies as well because such cigarettes give adolescents first exposure to nicotine. And nicotine being the most addictive chemical, the e-cigarette users would take to smoking cigarettes as well,” he rues. Dr Chaturvedi’s argument also finds support in the government’s advisory. “There are possibilities that children, adolescents & youth (and generally non-smokers) will initiate nicotine use through ENDS at a rate greater than expected if ENDS did not exist,” says the advisory. The advisory also counters the claim that e-cigarettes help in cessation of smoking and adds they are not registered as nicotine replacement therapy products in India. According to globaldata.com, India’s e-cigarette market was poised to grow at a compound annual growth rate of 34 per cent from Rs 4.1 billion in 2017 to Rs 7.4 billion in 2019.